Below is a sampling of verdicts and settlements in laparoscopic cholecystectomy (lap chole) and gallbladder removal cases. Most of these cases involve a bile duct or other injury while removing the gallbladder. None of these verdicts involve da Vinci robotic surgery, but these cases are certainly growing and will start coming to trial shortly. Reading over the facts and verdicts below may give you an idea of the potential value of your case. That is why we have compiled these verdicts. But while we believe these cases demonstrate what we consider to be normal outcomes, each case is unique. Your case will present different circumstances that may alter your outcome. It is also important to note that this compilation is not exhaustive and we have excluded numerous cases - including defense verdicts. These verdicts underscore that the issue in these cases is often damages. Thankfully, many patients recover quickly from these botched gallbladder surgery cases and do not have any permanent injuries. Malpractice lawyers struggle with these claims, trying to figure out where the bar should be in terms of how serious the injuries must be to bring a lawsuit. Our law firm is based in Maryland, but we handle these cases all over the country, working with local attorneys in the right cases. We have included some of these verdicts and settlements below. Our firm tries lap chole cases in Maryland and, in the right cases, outside of Maryland as you will see below. A lot of malpractice firms will not take these cases because the injuries are limited. We believe we know how to maximize the value of these cases and we have the settlements and the verdicts to prove it. Oregon, $1.1 Million Settlement (2018). Our firm traveled to Oregon to work with referring counsel in Oregon to handle this lap chole case. In this case, the doctor began the operation laparoscopically but converted to an open procedure due to the confusion after seeing adhesions. During this operation, the doctor failed to correctly interpret an intraoperative cholangiogram and failed to repeat the cholangiogram, which resulted in the transection of a very nice woman's common bile duct. Maryland, $500,000 Verdict (2018). Another great client clipped and transected Mr. Park’s common hepatic duct during the operation, which required a subsequent Roux en Y repair operation. Most lap chole cases involve cutting the common bile duct. What was interesting in this case is that the defense claimed that doctor did not cut the common bile duct. Thankfully, our client was a strong man who made a wonderful recovery without a permanent injury. A Baltimore County jury awarded him $500,000 for a few months of awful pain and suffering. The pre-trial offer in the case was $200,000 which can often be the value of these cases if you are not willing to take them to trial. Oregon, $225,000 Settlement. Our client, a twenty-year-old woman from Oregon, went in to have her gallbladder removed in February of 2011. During the procedure, which was performed laparoscopically, the surgeon clipped and cut our client’s common hepatic duct instead of clipping and cutting the cystic duct. The surgeon realized her mistake and attempted to repair the ducts before finishing surgery. Unfortunately, the repair was not performed properly, and over the next few months, our client had to undergo several additional procedures and an additional surgery to correct the mistake. At her deposition, the surgeon admitted that she did not confirm our client’s anatomy prior to clipping and cutting what she believed was the cystic duct, and she additionally admitted there were multiple ways she could have confirmed the anatomy before completing the surgery. This case settled for $225,000.00. This value is based largely on the fact that the patient recovered very well, and there was no permanent injury. Our law firm, Miller & Zois, handled this case. California: $7.9 million Verdict. An obese 24-year-old woman is admitted to the hospital to undergo an endoscopy procedure to diagnose a stomach issue. The woman had been suffering from severe stomach problems for a few months. An anesthesiologist gave the patient propofol as a sedative, as opposed to general anesthesia. Tragically, during the procedure, the patient regained consciousness. Disoriented from the sedation, she panicked and began to flail about, gasping for air. She screamed in pain for approximately 20-30 seconds before falling unconscious. The woman went into acute respiratory failure, suffered cardiac arrest twice, and died soon after the procedure. The family filed suit against the anesthesiologist, his practice, and the hospital, alleging that the anesthesiologist was negligent during the procedure. Plaintiffs’ experts opined that the anesthesiologist failed to perform certain safety measures that could have saved the woman’s life. It was determined that given the woman’s significant weight, a general anesthetic should have been used in addition to or instead of the propofol, and that an endotracheal tube should have been used as well. The defendants attempted to argue that the care provided was appropriate given the circumstances. The jury disagreed and awarded the family $7.9 million in damages. South Carolina: $150,000 Verdict. Plaintiff experiences severe pain after a laparoscopic cholecystectomy and is treated with narcotic pain killers during an overnight hospital stay. After being admitted to the emergency room, a CT scan shows fluid in the abdomen. It is discovered that the plaintiff’s bile duct and hepatic duct are lacerated. Physicians place two stents to drain the fluid and plaintiff undergoes repair surgery six weeks later. Plaintiff alleges that defendant physician negligently cut the common bile and hepatic ducts. Plaintiff also suffers from ongoing eating difficulties and diarrhea because of the injuries. Defendant alleges that there is no evidence of a bile duct injury from the surgery but does not offer an explanation for the injury. Defendant disputes the plaintiff’s continuing symptoms and contends that plaintiff’s symptoms can occur after a normal cholecystectomy. Plaintiff’s medical malpractice action asks for $119,000 in past medical expenses, $6,000 in lost wages, and damages for pain and suffering. The jury awards plaintiff $150,000 and the hospital settles for $100,000. Tennessee: $175,000 Verdict. Upon being seen at the hospital, plaintiff’s abdominal pain is linked to a gallbladder complication. The 51-year-old plaintiff successfully undergoes laparoscopic surgery. Plaintiff’s pain symptoms continue and five days later, it is discovered that the first surgery created an intestinal tear that has necrosed. Because of the five-day delay, part of plaintiff’s intestine is removed. The error ultimately results in a fistula complication. This video is for lawyers and victims looking to understand whether you have a viable lap chole malpractice claim. New Jersey: $430,000. Plaintiff undergoes laparoscopic gallbladder removal surgery. Plaintiff’s attending physician does not perform the surgery as the plaintiff anticipated. 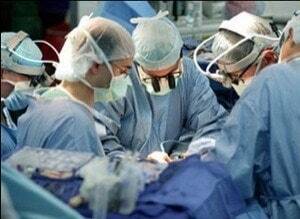 Instead, a second-year surgical resident performs the operation. It is the first time the resident had performed this operation. Shortly after discharge, plaintiff presents to the emergency room with abdominal bloating, abdominal pain, fever, and jaundice. Plaintiff is referred for exploratory surgery that reveals a cut to the bile duct that has allowed bile to flow into the abdominal cavity. This results in an acute septic condition and other complications in the 24-year-old patient. California: $250,000. After more than two years of abdominal pain, a 43-year-old plaintiff undergoes a laparoscopic cholecystectomy to remove the gallbladder. During the surgery, the surgeon divides the common hepatic duct instead of the cystic duct. An intraoperative cholangiogram (radiographic image of the ducts) demonstrates the error and the surgery is converted to an open procedure. During the elongated procedure, the gallbladder is removed, and the severed common duct is repaired by end-to-end anastomosis. Plaintiff’s malpractice lawsuit claims that the doctor failed to perform an adequate dissection of the gallbladder and surrounding tissue before severing the duct tissue. Ohio: $196,500. During a laparoscopic cholecystectomy surgery, plaintiff’s common bile duct is clipped and a portion is removed. Plaintiff, 42, undergoes additional surgery to repair the duct and an incisional hernia. In the medical malpractice lawsuit, plaintiff alleges that the doctor was negligent in failing to properly identify the cystic duct. Maryland $1,106,910.75 Verdict. An absolutely wonderful 75-year-old woman presents to the hospital to undergo a laparoscopic cholecystectomy. During the procedure, the surgeon clipped and cut her common hepatic duct. Although he realizes the error, he does not seek immediate assistance to evaluate the injury. Plaintiff remains hospitalized and, four days later, undergoes a Roux–en Y reconstructive operation to reconnect the bile duct to her intestines. Plaintiff spends another 14 days in the hospital with months of follow-up care to monitor the drains that remain in her abdomen. Eventually, the drains are removed, and she returns to a relatively normal lifestyle. No substantial Pretrial offer is made. After deliberating for one hour, the jury awards $106.910.75 in medical expenses and one million in non-economic damages. Our law firm handled this case. South Carolina: $325,259. Plaintiff suffers bowel perforation as a result of gallbladder surgery complications. Michigan: $1,800,000. During a laparoscopic gallbladder removal surgery, plaintiff’s hepatic duct is clipped. Plaintiff suffers complications following surgery. A stent is installed to fix bile leakage. Four months after surgery, plaintiff dies from sepsis as a result of a perforated cecum. Plaintiff’s estate alleges that the cecum injury occurred when the defendant doctor clipped the right hepatic duct during the gallbladder removal. New Jersey: $100,000. Plaintiff, 47, undergoes gallbladder removal surgery and during the procedure, a clamp is placed over the bile duct but is not removed. To remove the clamp, plaintiff undergoes a second surgery that results in a large surgical scar and disfigurement. New York: $1,350,000. During plaintiff’s gallbladder surgery, a surgical pad is left in the plaintiff’s body. Plaintiff, 71, suffers infection and abdomen abscess. Florida: $600,000 verdict. A 35-year old female plaintiff suffers a severed common bile duct and right hepatic artery while a surgeon was attempting to remove her gallbladder. The gallbladder is not removed. Plaintiff’s gallbladder is removed during a later surgery where the severed bile duct and small intestine is reconnected. An error during gallbladder surgery is a common source of medical malpractice claims, largely because this is a common form of surgery. Most malpractice claims from gallbladder surgery occur when a surgeon does not know where the biliary ducts are on a patient and cuts where the surgeon should not be cutting. Our malpractice lawyers handle cases where the bile duct is cut or damaged during surgery when serious injury is caused to the patient. If you or a loved one suffered from complications as a result of an error or mistake during gallbladder surgery, call our malpractice lawyers at 800-553-8082 or get a free online consultation. Take a look at the facts of a very typical lap chole case in Frederick and another in Baltimore City.